Replacing bottom bracket bearings and -cups is easy, when you have the right tools. CEMA Bearing Professional Bearing Replacement Tool, with type number SRC-TT-B006C, is in my opinion the best solution currently available. In this article I will reason why and explain the steps I’ve followed to install a new Bottom Bracket with ceramic bearings. Which Replacement Tool for Press Fit Bottom Brackets ? Art’s Cyclery explains various tools to remove press fit bottom brackets in the YouTube video “Ask a Mechanic: Removing BB86 and BB92 Bottom Brackets“. The value for money is really good and a re-seller in Belgium minimized the shipping costs. My Canyon Ultimate CF SLX is equipped with a Shimano BB92-41B Pressfitt 86,5 Road bottom bracket. The plastic cups of this press fit bottom bracket started to release from the frame, providing 1 or 2 mm. between the cup edge and the frame. So I wanted to install a Bottom Bracket with aluminum cups and ceramic bearings. In addition to the good instruction video below, there is a complete operating manual available in pdf format. However I preferred looking at the video a few times. Pressing in the new Ceramic Bottom Bracket is pretty easy. The CEMA Bearing SRC-TT-B006C Professional Bearing Replacement Tool is recommended for cycling shop or repair center use. It also works really well for a home mechanic, you just need to invest a little time on how to use it. There are good instruction videos and operating manuals available. The price is of the CEMA Bearing SRC-TT-B006C Professional Bearing Replacement Tool is EUR 185,-. Not cheap, but the value of this tool-set is that you can remove and install almost every (press fit) bottom bracket type. Good tools are more cost effective in the long run. For example I have my PB Swiss Tools allen keys for 15+ years now. 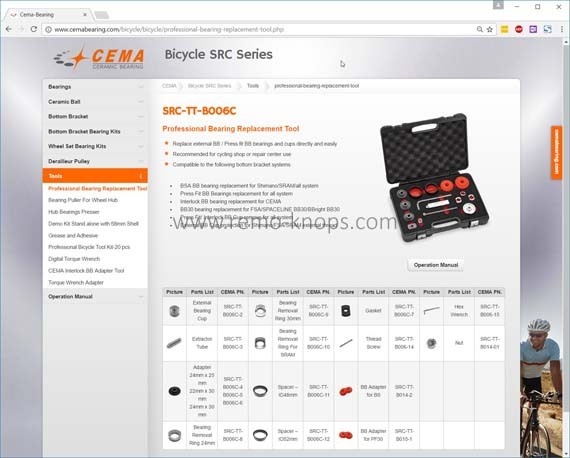 If you are in the race for bottom bracket replacement tools than the CEMA Bearing SRC-TT-B006C Professional Bearing Replacement Tool should be on your short list. 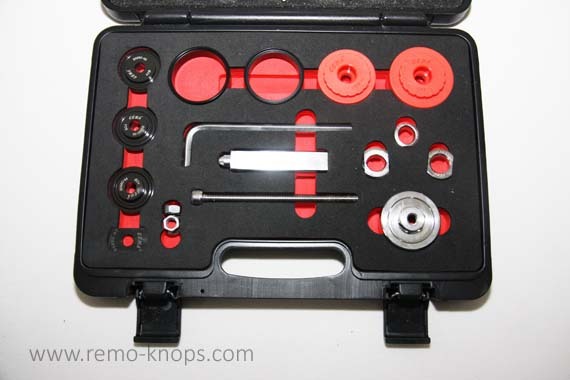 Hey!, I found this information for you: "CEMA Bearing Bottom Bracket Replacement Tool". 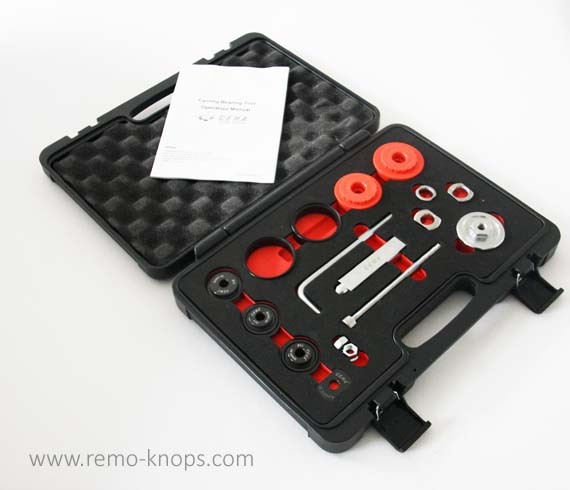 Here is the website link: https://www.remo-knops.com/5420/cema-bearing-bottom-bracket-tool/. Thank you.